With the wide variety of eCommerce solutions to choose from today, it can be confusing to pick the right one for your business. Selling on multiple channels can be a giant leap in the right direction for your business, and while website platforms like Bigcommerce and Mozu can be extremely helpful, Magento is definitely worth looking into as well. Magento makes it easy for SMB’s (small to mid-sized businesses) to fully optimize their eCommerce solutions, get product listings sorted out for multichannel orders and more. Larger retailers like Samsung, Nestle, Olympus and others rely on Magento for their web designs and operations. Not to mention the millions of small to mid-sized companies that trust Magento for their eCommerce solutions. Here are a few key reasons why these businesses say yes to Magento. Your website looks fantastic. It has great appeal, your products are ready to fly off the shelves, and you’re positioned to start selling on multiple channels like Amazon and eBay. Before you start selling online, there’s more to consider. Don’t watch all that hard work go down the drain by not optimizing your eCommerce pages. Making sure you incorporate the right copy, product reviews and offers are of course vital to attract consumers and to keep up with the competition, but Magento can help with much more. Making sure your products are easily found on search engines such as Google is the key to increasing online sales for your business. Magento‘s eCommerce platform gives you the ability to fully customize meta-tags into multi-layered navigation, as well as optimize content pages, product copy, URL’s and site maps. You can fully customize criteria on Magento to rank higher on Google, ultimately giving you the chance to drive more traffic and increase revenue. Understanding the importance of responsive web design is an important first step in creating an effective eCommerce site. Since mobile site traffic is constantly expanding, and consumers are finding easier, quicker ways to shop, it is vital for your website to keep up. Selling on multiple channels is another way to expand your online business footprint, and Magento can help get you there with advanced product listings and a fully responsive, clean website design to engage with shoppers directly or while they’re shopping from mobile devices. To increase sales even further, adding more features through your eCommerce platform is definitely a win-win situation. Some product extensions found in Magento Connect are extensive on their own, with detailed editing functionality, front-end management, landing page additions and many more. With Magento, integrations are also easily accessible via shipping, database applications and payment gateways. As a Magento merchant, you can take advantage of a seamless integration into your orders and inventory, to give you the in-depth management capabilities necessary to run back office operations efficiently. With inventory management developed specifically for the Magento eCommerce platform, you will be on your way to experiencing rapid and integrated shipping, faster order processing, gaining real-time visibility into business metrics through reporting and dashboards and more. Magento is highly scalable, flexible and versatile for retail operations both large and small. Many major brands trust the platform to run their eCommerce stores, including Nike, Nicole Miller, Ghiradelli and Easton to name a few. Some of these are recognized as the best Magento website designs based upon research findings and social media presence. Magento’s flexibility is in large part attributed to their architecture and the ability to offer multiple extensions, and modules designed specifically for the eCommerce merchant. If you need to add multiple payment options, languages or stores, for example, Magento can help you take advantage of all of these and much more through a wide variety of applications found in the Magento Connect extension marketplace. According to Google Trends, Magento is the most popular platform in the United States. One of the reasons for this is the platform’s affordability. There is an initial charge for customization and installation, but when all things are considered, Magento ranks as an extremely cost-effective solution. Most importantly, Magento is an open source platform, with two versions available, Enterprise and Community Edition. The Magento Community Edition is free to use, and there are no hidden fees when if you choose this option for your Magento development. Having an open source approach is the main reason so many large and small businesses choose Magento for their eCommerce platform. A large community of developers are also readily available around the world to help, as this is an open source eCommerce solution. Order and inventory management go hand in hand. Understanding the key aspects of the pick/pack/ship fulfillment processes are essential, such as learning some shipping insights for eCommerce and managing your customer’s experience. With a fully integrated order and inventory management system (OMS) developed specifically for the Magento eCommerce platform, Freestyle Commerce helps you take care of all of your back-office operations and help you expedite the processing of your orders much faster. Here are some highlights of what you can look forward to with Freestyle Commerce’s Magento inventory management integration. Learn more about how you can benefit from Magento inventory management with Freestyle through our live demonstrations or webinars or check out the video below. You’ve built your eCommerce business using Magento software and it’s a powerful solution that meets your unique shopping cart needs. But if you want to streamline and automate your business processes, seamlessly update your inventory across all channels, increase efficiencies, and drive new sales, you need to implement a cloud based inventory and order management software solution that integrates seamlessly with Magento. Freestyle Commerce® allows you to effectively handle order import, inventory management, order fulfillment, and order processing automation while synchronizing communication between Freestyle Commerce, Magento, and your other systems. Without this Magento integration, your employees will have to take the time to manually transfer orders entered in your eCommerce store to your inventory management system, then to your accounting system, and again to your shipping system. Implementing Freestyle Commerce avoids the tedious manual work for each order as well as issues caused by mistakes made while transferring information. Looking ahead for eCommerce growth will help you anticipate the needs of your business and allow you to plan accordingly. You need a solution that is scalable, integrates with Magento, and improves your business. Without a complete integrated solution, you’ll quickly run into business limitations with your online shopping cart platform. Magento’s integration with Freestyle Commerce provides you a complete eCommerce solution that is suitable for small to mid-sized businesses at the right price, and will be a valuable investment as your business expands. Click on the link to learn more about Why You Need Freestyle Commerce. 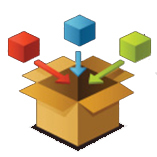 Freestyle supports the online inventory management and order fulfillment of ‘Kit’ aka ‘Bundled’ products! For those of you who aren’t familiar with these types of products a ‘kit’, or what Magento refers to as a ‘bundled’ product, is a product that is made up of various components or items and are sold as a set or group. Managing the inventory associated with each kit can be difficult, especially when one item is used as a component in more than one kit. However, with Freestyle, managing the inventory and order fulfillment process of kit products just got easier! Create & Edit Kits Easily: Setting up kits in Freestyle is easy to do and manage. At any time, you can switch, add and/or remove a component. List One Item Multiple Times: Sell one item in multiple ‘kits’ and on its own? Freestyle allows you to connect all of those different listings to the inventory of a single item. One sale on any of the listings automatically updates the quantity on all other listings for you. Manage Inventory Automatically: Freestyle automatically publishes the ‘Available’ inventory back to Magento, which is a sum of the ‘Can Be Assembled’ & ‘Pre-Assembled’ inventory levels. These levels are calculated based off the inventory of the lowest component. Avoid Shipping Mistakes: Freestyle recognizes the SKU of the entire kit, and also knows each of the individual items that make up the kit. This insures all of your items get shipped out correctly. There are a number of ways you can increase sales by adding kits to your product mix. First, you have more opportunities to sell each product. Not only can the product be listed on its own for sale, but now you can add that product to one or more kits, increasing the number of listings you and your chances of selling that particular product. Plus, each kit is made up of multiple items, so your sales price is higher. Offering Unique Products: Your kit is a combination of whatever products you choose, offering you the opportunity to differentiate yourself from the competition. Opportunity Offer Discounts: Since your customer is buying more than one product with each kit, you may decide to offer a discount on the price. Everyone loves a deal! This can be a strategic way to drive more sales. Watch the recording from the Freestyle Commerce Solution Spotlight: Kitting product demo. (Parsippany, NJ) -Dydacomp, a leading provider of business technology platforms for small and mid-sized eCommerce and multichannel merchants, will be exhibiting as a Gold Sponsor at the Magento Imagine eCommerce Worldwide Conference in Las Vegas, NV. The company will be showcasing Multichannel Order Manager (M.O.M. ), the leading integrated eCommerce and PCI compliant commerce management solution. M.O.M. provides Magento users with the ability to synchronize inventory, pricing and orders while ensuring their online business and offline operations seamlessly work together. It integrates with Magento Go, Community and Enterprise through the BizSyncXL extension from ChannelBrain or users can build their own integration through M.O.M.’s open API. Magento users will then be able to import orders, handle point-of-purchase or telephone orders, automate order workflow, track and manage products and inventory data as well as track, organize and access customer information for improved levels of service. Imagine eCommerce is Magento’s premiere worldwide eCommerce conference bringing merchants and technology partners together in an engaging and exciting environment. It will be held on April 23 – 25, 2012 in Las Vegas, NV. From inspiring keynotes by industry experts to in-depth breakout sessions on important business and technical topics to on-site training and developer certification to the powerful networking opportunities, Imagine is an important eCommerce event. Dydacomp’s Gold Sponsorship reinforces the company’s commitment to enable Magento merchants to leverage their investment to grow and become more efficient in the back office. A number of experts from Dydacomp will be available during the event to walk merchants through M.O.M. and show how it will help them streamline processes, cut costs, and increase sales. Conference attendees, sponsors, and service and solution providers are also encouraged to meet with Dydacomp’s executive team and learn more about the company’s solutions and partnership opportunities. To keep up with the competitive eCommerce landscape, its important to keep your eCommerce site running as efficiently as possible. Dydacomp has partnered with Freeportway to offer Magento merchants the back office order processing needed to improve order management and order fulfillment. Magento is a powerful solution that meets your unique shopping cart needs, but if you want to streamline and automate your business processes, control your inventory management across all channels, increase efficiencies, and drive new sales, you might need more. Join us for a webinar on Thursday February 16,2012 to learn how you can implement a complete order management solution to seamlessly intergrate with your Magento eCommerce site. Learn how Multichannel Order Manager and Freeportway will help you drive business growth by integrating the most powerful order management solution for Magento. You’ll gain insight into the ecommerce landscape, discover key areas that need to be addressed by your business, and learn how M.O.M. 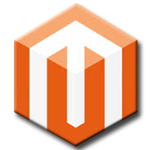 for Magento is the right solution for you. (Parsippany, NJ) – Dydacomp, a leading provider of business technology platforms for small and mid-sized eCommerce and multichannel merchants, today announced a strategic partnership with Magento, the world’s leading open-source eCommerce platform. This partnership reinforces Dydacomp’s ability to provide Magento users with its industry-leading SMB commerce management solution, Multichannel Order Manager (M.O.M. ), to automate and improve their online business operations and overall efficiency. M.O.M. Version 8 offers the ability to seamlessly integrate with Magento Go, Community and Enterprise Editions via its open API or using the BizSyncXL extension from Freeportway available on Magento Connect. This integration provides Magento users with a PCI Compliant solution that can import orders, handle point-of-purchase or telephone orders, automate order workflow, track and manage products and inventory data as well as track, organize and access customer information for improved levels of service. Magento allows users to create powerful and graphic-rich eCommerce sites that result in higher conversion rates. As a direct result of these increased sales, eCommerce businesses may need more capabilities than Magento’s stand-alone shopping cart. This is where M.O.M. steps in to integrate order processing, payment processing, inventory management and shipping in one efficient multichannel solution at prices small and medium-sized merchants can afford. The Magento eCommerce platform serves more than 110,000 merchants worldwide and is supported by a global ecosystem of solution partners and third-party developers. Magento is a feature-rich, open-source, enterprise-class platform that offers merchants a high degree of flexibility and control over the user experience, catalog, content and functionality of their online store. Magento Enterprise, the company’s premiere solution, enables mid- to large-sized merchants to build and run world-class online stores. Magento Enterprise has been adopted by thousands of the world’s leading merchants and brands. Magento Go, the company’s hosted software-as-a-service solution, provides small merchants with the tools to help them succeed online – from payments to inventory management. In 2011, Magento was acquired by eBay Inc. and became part of eBay’s X.commerce business unit. Magento is based in Los Angeles and employs more than 375 people worldwide. For more information, visit www.magento.com. Efficient order processing is to key to handling the influx of online orders during this busy holiday season. Dydacomp has partnered with Freeportway to offer Magento merchants the back office order processing needed to automate your business processes. Magento is a powerful solution that meets your unique shopping cart needs, but if you want to streamline and automate your business processes, update your inventory across all channels, increase efficiencies, and drive new sales, you might need more. Join us for a webinar on Thursday December 15,2011 to learn how you can implement a complete order management solution to integrates seamlessly with your Magento eCommerce site. Learn how Multichannel Order Manager and Freeportway will help you drive business growth by integrating the most powerful order management solution for Magento. You’ll gain insight into the ecommerce landscape, discover key areas that need to be addressed by your business, and learn how M.O.M. for Magento is the right solution for you. November 29, 2011 , (Pasippany,NJ) – Dydacomp, a leading provider of business technology platforms for small and mid-sized eCommerce and multichannel merchants, today announced a new strategic partnership with Freeportway, an eCommerce integration solutions provider. Freeportway’s BizSyncXL software enables merchants to seamlessly integrate Dydacomp’s industry-leading order management solution, Multichannel Order Manager (M.O.M. ), with the top eCommerce shopping cart, Magento, to automate and improve their online businesses operations and overall efficiency. “Our goal is to ensure that small and medium-sized businesses have the most flexible and comprehensive order management solution on the market. The partnership with Freeportway reinforces this by providing Magento users with the tools to implement the most powerful solution available to grow their online businesses. They now have the ability to synchronize inventory, pricing and orders while ensuring their online business and offline operations seamlessly work together,” stated Fred Lizza, CEO at Dydacomp. BizSyncXL connects M.O.M. to the MagentoGO, Community, Professional and Enterprise Editions of Magento to give clients the features and functionality needed to compete in today’s eCommerce marketplace. It seamlessly passes data from BizSyncXL to Magento and back to M.O.M. so clients don’t have to do the transferring or importing of data manually. The data includes everything from products, prices, customers and orders to completely automate the process of updating the Magento shopping cart system. “We are excited about this strategic partnership and the new direction of Dydacomp as the company opens up its M.O.M. solution. As part of this partnership, we have jointly worked to create, test and verify the functionality so Magento users can easily implement and begin using the solution. This helps merchants focus on growing their business, while we handle the required technical aspects. We also look forward to taking advantage of the new features and functionality incorporated into M.O.M. Version 8, including the API. We’ll integrate this with BizSyncXL to offer Magento merchants the most efficient and complete multichannel solution available,” said Gary MacDougall, CEO of Freeportway. Dydacomp launched its new partnership program with the release of M.O.M. Version 8 to provide small and medium-sized merchants with the most robust order management solution available. By partnering with companies such as Freeportway, Dydacomp ensures that multichannel merchants will have the tools and resources they need to thrive at a price they can afford. Freeportway provides integration solutions to multichannel merchants, on-line retailers and direct marketing professionals who need to bridge the gap between their off-line and online systems. They help customers achieve end-to-end compatibility to increase efficiency in their operation, decrease operating costs and increase revenue by integrating systems within their organization to improve workflow and reduce the manual labor involved in keeping disparate systems updated. For more information, please visit www.freeportway.com.